Our professional DJ’s can help you make your party better! 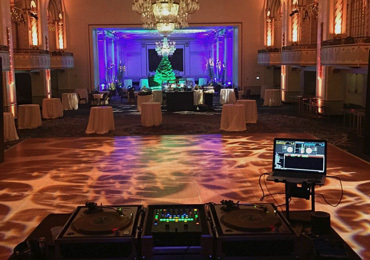 Whether you’re looking for music for your wedding, prom, corporate event, or any celebration, our expert DJ’s have over 20 years experience adding that special touch to just about any occasion. Our professional DJ’s can help you make your party better! Whether you’re looking for music for your wedding, prom, corporate event, or any celebration, our expert DJ’s have over 20 years experience adding that special touch to just about any occasion. We are servicing all of New England. Centrally located in Southeastern MA it is less than an hour from Boston, Providence, Newport, Worcester, and Cape Cod. Our reliable, professional disc jockeys have the experience and expertise to make any event a success. Before your event, we will meet with you to review your playlist as well as the pronunciation of any names for our master of ceremonies services. Unlike other disc jockeys, there are no hidden fees and charges, and you won’t be charged for set-up or take-down. 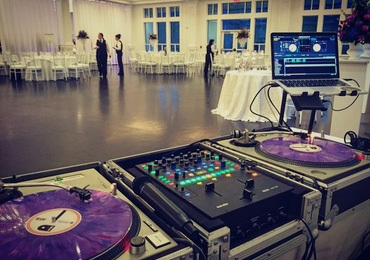 Pre-Select the songs for your event or speak with one of our disc jockeys to create the perfect music playlist. Rest assured that our disc jockeys will maintain a clean, professional appearance for your formal or themed event. 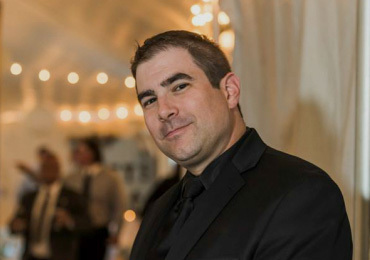 Derek Holt from Entertainment Specialists recently DJ’d our wedding last month in Hingham, MA and did an amazing job! I’m so glad we chose him. He was easy to work, really responsive ahead of the big day and more importantly played a great mix of music that kept everyone on the dance floor all night. The music was definitely the highlight of the evening. He was professional, friendly, and well worth the cost. I would definitely recommend him to anyone looking for a DJ in the Boston area. Derek Holt was our DJ for the event. We really had one requirement for the wedding, and that was that it be as wild a party as possible. While we were given the opportunity to have input regarding music selection, I would say in retrospect just leaving it up to Derek was the best thing we could have done. We felt like he had our best interest in mind the entire evening. Even when some guests with hearing aids gave Derek heat for the music volume, he didn’t budge because he knew it would put a damper on the party. (And he told us that he would take the blame, because we certainly didn’t want the music turned down!!) Absolutely epic time and wouldn’t have been the same without him. You’d be a fool not to hire this guy. He was everything we could have asked for and more!! My wife and I hired Derek Holt to be our DJ for our wedding in September and we could not have been happier! We are extremely picky when it comes to music, DJs, etc. and Derek absolutely nailed it. Derek met with us to review everything that we wanted to hear as well as our vision on what we wanted for the wedding, he took that information and had our wedding guests dancing all night. We would recommend him to anyone without hesitation! DJ Holtie was excellent! He kept everyone on the dance floor and honored all of our requests. He did the music for our ceremony, cocktail hour, and the reception and it all worked out perfectly. Highly recommend! DJ Holtie is awesome! From the ceremony music to the introductions, and on to the party, everything was perfect! Dance floor was always packed and no one wanted the party to end. I highly recommend DJ Holtie for your wedding DJ! Looking for more than a great disc jockey? We’ve taken the guess work out of party planning with an extensive variety of party packages and party supplies.